The spate of motorcycle accidents is becoming troubling. Have you or someone close to you been involved in a motorcycle accident in Chula Vista, CA? 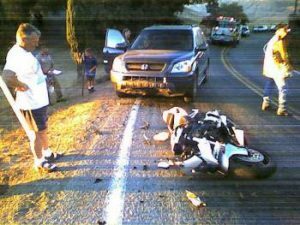 If yes, it’s best you don’t take your chances, rather hire a professional motorcycle accident attorney in Chula Vista who’s proficient in the legal proceedings to get adequate compensation for the injuries, pain & suffering you have endured. At Rawa Law Group, we have a team of legal experts with a combined experience of over 50 years. Our attorneys are some of the finest personal injury lawyers in the whole of California. If you have considered hiring a motorcycle accident attorney in Chula Vista from our firm, you can be assured that your case will be handled as smoothly, professional and ethical as can be. Our lawyers infuse a personal approach in all cases and are happy to visit you at home or in the hospital. All you need to do is take advantage of our free case evaluation. Rawa Law Group has helped a lot of Chula Vista claimants receive their due compensations with settlements totaling several hundreds of millions of dollars. Our vast experience (over a decade) put us high up as one of the most trusted law firms to run to for such accident cases. While our services at Rawa Law Group are remarkable, we try to make it affordable for all. This is why you only pay for our legal services ‘after’ we have helped you secure the exact compensation as stipulated by law. At Rawa Law Group, we are always at your service. Contact us today.